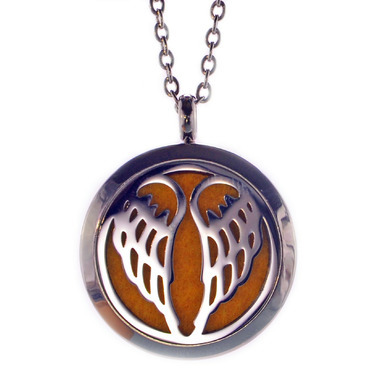 The Aroma Pendant is made from surgical grade stainless steal with a magnetic clasp. 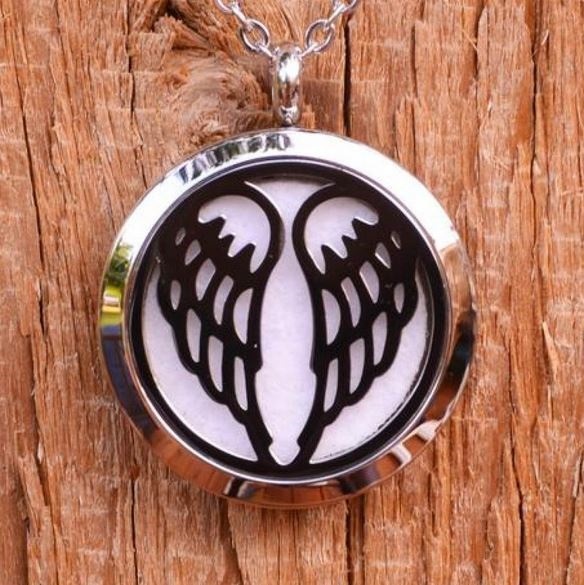 The pendant is resistant to tarnishing and the pad stays locked in place. The stainless steel chain is 24 inches long, perfect for enjoying the benefits of aromatherapy throughout the day. Simply add 1 or 2 drops of your favourite essential oil on the pad and you are ready to enjoy the benefits of pure aromatherapy all day. Refresh oil when necessary. 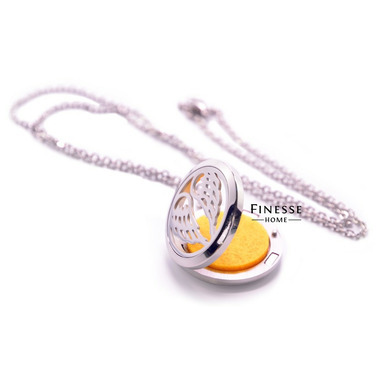 Comes complete with 6 various coloured washable pads included with the pendant. Directions: Add 1 or 2 drops of your favourite essential oil on the pad. Refresh oil when necessary. Bought as a gift and it was very well received.